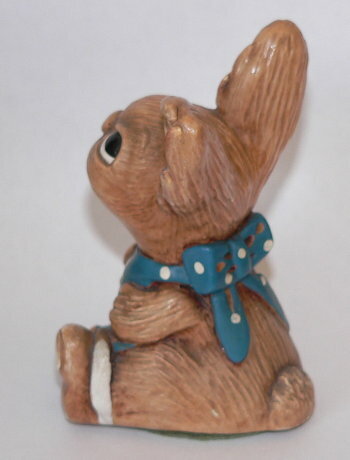 PenDelfin Rabbit Biscuit Midge designed by Jean Walmsley Heap. 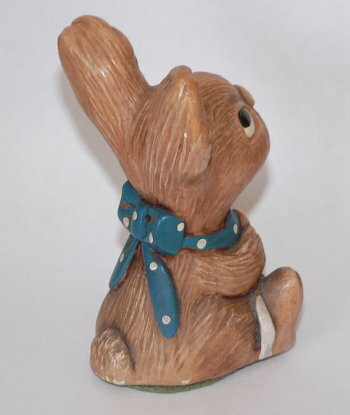 This PenDelfin rabbit Midge was produced by the PenDelfin Studios from c1956 until 1965. 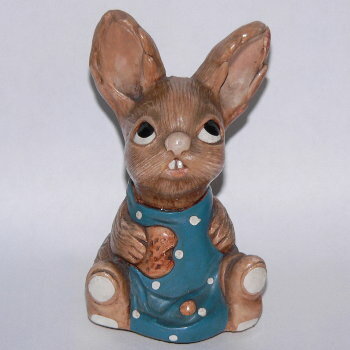 This Biscuit Midge PenDelfin rabbit is wearing a blue coloured bib with one crumb in his lap. 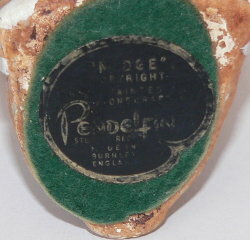 On his base he has his green felt and PenDelfin artist palette, Midge, label. Condition: Very good overall condition with a few touched up paint flakes.